Paying for a college education can be very expensive. However, there are grants and other tuition assistance programs available from both private and public entities that can help military students and their families cover the costs of higher education at accredited universities within the United States. Aid for military service members, veterans and their families is available from both federal and state sources and can be available for a specific school or open to accredited schools nationwide. The GI Bill includes many programs to help assist service members and veterans with paying for additional education. Service members and veterans can apply for these programs at www.gibill.va.gov. The Montgomery GI Bill offers up to 36 months of educational financial assistance for Active Duty service members and veterans. This assistance can be used to cover the costs of college, business school, technical schools, vocational schools, distance learning institutions, apprenticeship or job training and flight training. To be eligible, Active Duty members must have already served at least 2 years. Veteran eligibility is determined based on when the veteran enlisted and how long he served. The maximum benefit for a student enrolled full-time in a course of study is currently $1,368 per month. Benefits are available up to ten years after final discharge or release from active duty. The Post-9/11 GI Bill also provides up to 36 months of educational financial assistance for Active Duty service members and veterans, which can be used to cover the costs of college, business school, technical schools, vocational schools, distance learning institutions, apprenticeship or job training and flight training. Active Duty, Guard and Reserve service members as well as veterans who have served at least 90 days on active duty since September 10, 2001 are eligible for this assistance. The financial benefit covers tuition and fees and includes a housing and book stipend. The assistance amount is determined based on the amount of time served in active duty. Service members who are currently in active duty also have additional limitations. This financial assistance can be transferred to the spouses and children of the service members and veterans. The Tuition Assistance “Top Up” Program is designed to be used in conjunction with other assistance programs as supplemental tuition assistance. Eligibility is limited to Active Duty service members who are also eligible for the Montgomery GI Bill. Applications for the Top Up Program are processed and approved by military departments. The assistance amount is limited to the amount the service member would receive to cover the costs of the course if he was receiving the regular amount under the Montgomery GI Bill. Tuition assistance is available to members of each of the Armed Forces to cover up to 100% of tuition costs and other fees. The criteria, length of obligated service and application process for each branch of the Armed Forces are different as well as the restrictions. Tuition Assistance is usually paid directly to the university from the service branch. For high-cost courses, service members can opt to use the TA in conjunction with the Montgomery GI Bill “Top Up” Program. Air Force Tuition Assistance covers up to 100% of tuition and fees with the following limitations: $250 per semester credit hour or $166 per quarter hour. The maximum fiscal year amount available is $4,500. The TA covers tuition, lab, enrollment, special and computer fees. Active Duty and Reserve are eligible. The application process is done completely online and includes six steps. Army Tuition Assistance covers up to 100% of tuition and fees with the following limitations: $250 per semester credit hour or $166 per quarter hour. The maximum fiscal year amount available is $4,500. The TA covers tuition, lab, enrollment, special and computer fees. Active Duty, ARNG on Active Duty and Reserve are eligible for this assistance. The application process and all related communication must be done through www.goarmyed.com. Navy Tuition Assistance covers up to 100% of tuition and fees with the following limitations: $250 per semester credit hour or $166 per quarter hour up to 16 semester hours per fiscal year. The TA covers tuition, lab, enrollment, special and computer fees. Naval Officer and Enlisted Active Duty and Naval Reserves in AD status are eligible. Counseling from the Navy College Office is a requirement before TA can be received. Information about the Navy TA can be obtained from www.navycollege.navy.mil. Marines Tuition Assistance covers up to 100% of tuition and fees with the following limitations: $250 per semester credit hour or $166 per quarter hour. The maximum fiscal year benefit is $4,500. The TA covers tuition, lab, enrollment, special and computer fees. Only Active Duty personnel are eligible. Students who are receiving TA for the first time must complete a TA Orientation Course, which can be done online for those serving in remote areas. Additionally, to continue receiving TA, students must fill out a degree plan before 12 semester hours are completed. Coast Guard Tuition Assistance covers up to 100% of tuition and fees with the following limitations: $250 per semester credit hour or $166 per quarter hour. The maximum fiscal year benefit is $4,500. The TA covers tuition and lab fees. Active Duty, Selective Reserve and Civilian Employees are eligible. Federal Army National Guard Tuition Assistance, available to part-time citizen soldiers, covers up to 100% tuition, limited to $250 per semester credit hour or $167 per quarter credit hour, up to $4,500 per fiscal year. This also includes up to $500 in fees. For those reservists seeking high school or equivalent level, courses can be refunded at 100% but this is still included in the $4,500 annual limit. This benefit is not guaranteed and is offered on a “first-come, first-served” basis, which begins the day the soldier enrolls in the Army National Guard. After completing a course, four years of service are required for officers. Enlisted reservists only need to remain active during the duration of the courses. Reservists who receive an ROTC scholarship are not eligible for the TA. In addition, many states also offer Tuition Assistance to Army and Air National Guard reserves. The amount of the assistance, if at all available, varies depending on the state. The National Guard offers more information about the benefits provided by each state. The Army College Fund is an enlistment benefit incentive that must be included in the original enlistment contract. The purpose of this incentive is to recruit highly qualified soldiers for critical or shortage Military Occupational Specialties (MOS). It is used in conjunction and to supplement the Montgomery GI Bill. This financial assistance can be used to cover the costs of training and education approved by the Department of Veteran Affairs. The eligibility of this assistance is limited to ten years after discharge or release from active duty. This financial assistance is accrued on a monthly basis as long as the service member remains qualified for the MOS under which he originally enrolled. Training and education covered by this financial assistance include college courses, technical, business and vocational schools, tutorial, remedial and refresher courses, distance learning, apprenticeship and on-the-job training programs, work-study programs, cooperative programs, flight training and licensing and certification testing. Regular Army Active Duty and Retired, Army National Guard Federal Active Duty, State Active Duty, Drilling and Retired, Army Reserve Active Duty, Drilling and Retired service members are eligible for this educational financial assistance. The eligibility criteria is different for each type of service member, but includes a high school diploma by the time they enter service, no prior service before enrollment, initial enlistment from July 1, 1985 until the present, a score of 50 or higher on the Armed Forces Qualification test, enrollment and participation on a basic Montgomery GI Bill and include enlistment in the Army College Fund as part of the original enlistment contract. The federal government has some grant programs available to students. These include the Federal Pell Grant and the Federal Student Education Opportunity Grant, both of which can be used to cover tuition, school fees, books and living expenses. The money is paid by the federal government and the student does not have to repay the federal government for this assistance. To apply for any of the federal grants, students must fill out the FAFSA, which can be done online at www.fafsa.ed.gov. The Federal Pell Grant, administered through the federal government, is available to undergraduate students pursuing their first bachelor’s degree. The grant is paid directly to the school’s business office and the applicant receives any remaining balance after school fees and tuition are covered. The remaining balance can be used for books and living expenses. The amount granted depends on financial need as well as part-time or full-time school status, length of study and the school’s tuition and costs. Applicants can currently receive up to $5,500, but the amount changes each school year. The maximum amount of the Pell Grant is only available to students whose parent died as a result of military service in Iraq or Afghanistan after September 11, 2001. The student must be under 24 years of age or attending college at least part-time when the parent’s death occurred. The Iraq and Afghanistan Service Grant is available to the children of parents who served in Iraq or Afghanistan and died as a result of that service after September 11, 2001. While the amount of the grant is equal to that of the maximum Federal Pell Grant, to be eligible for this grant, students must be ineligible for the Pell Grant because they do not meet the financial need criteria. However, they must be under 24 years of age and enrolled at least part-time in college at the time of the parent’s death. The Federal Student Education Opportunity Grant (FSEOG) is also paid directly to the individual school’s business office and it is reserved for applicants with the highest economic need. Students who receive a Federal Pell Grant and have exceptional economic need are the first applicants considered for the FSEOG. This grant can be used in addition to the Federal Pell Grant. Grants range from $100 to $4,000 a year. Grant amount is determined by financial need, the time of year the grant is applied for, the funding available at the college, and the financial aid policies of the college. The American Legion offers children and direct descendants of veterans different scholarships to help with the costs of attending college as well as information for veterans on the existing programs to cover higher education such as the G.I. Bill and links to information about the individual states’ educational benefits for veterans. The American Legion Legacy Scholarship is available to students who have lost their parents while serving in one of the military branches. The amount of the scholarship varies depending on the interest derived from the original trust. Students are allowed to reapply for the scholarship each year. The scholarship is available for undergraduate study at accredited institutions of higher education within the United States. 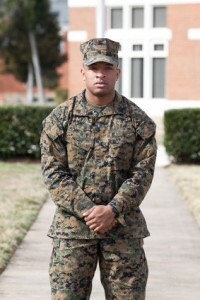 To be eligible for the scholarship, the high school senior or high school graduate must be a child, a legally adopted child, a child of a spouse from a previous marriage or a legal dependent of an active duty military, reservist or National Guard who died while on active duty after September 11, 2001. The yearly application deadline is April 15. The Samsung American Legion Scholarship Fund was endowed by Samsung in 1996 to honor the American veterans who aided Korea against communist forces during the Korean War. The amount of the scholarship varies depending on the interest and income derived from the original endowment. These scholarships are available for undergraduate study and can be utilized towards tuition, room and board, books and other fees. Eligibility is limited to high school juniors who have completed a Girls or Boys State program and are a child, legally adopted child, grandchild or other direct descendant of a wartime veteran who served in active duty during the established periods of eligibility. Academic achievement, school and community involvement and service and financial need are all qualifications necessary to receive the scholarship. Direct descendants of Korean War veterans receive special consideration. AMVETS offers annual scholarships for active service members, veterans and children and grandchildren of service members and veterans. The children and grandchildren of deceased service are also eligible for scholarships. Scholarships are granted based on financial need and scholastic achievement and are awarded to high school seniors, JROTC high school students and veterans who want to pursue higher education. The Dr. Aurelio M. Caccomo Family Foundation Memorial Scholarship is a $3,000 grant awarded yearly to a veteran to cover costs for undergraduate courses, accredited degrees and certificate programs. It can be used for traditional and online schools. The application deadline is April 15 of each year. Applicants can download an application here and contact AMVETS to file the application. The eligible candidates must be members or veterans of the National Guards or Reserves, US Citizens, possess a high school diploma or GED, be enrolled or accepted into an eligible program, not be in default of a federal student loan and not be convicted under state or federal law of selling or possessing illegal drugs. The University of Phoenix in partnership with AMVETS offers a scholarship program available to veterans, active duty service members, reservists, guardsmen and their families. There are fifty $7,000 grants available to be used to cover tuition costs at the University of Phoenix online or on-ground campus. The grants can be used for undergraduate or master degree costs. Candidates can print an submit a hard copy application or apply online. They must be legal residents or citizens of the United States, or have a valid visa, protected immigrant or refugee status that allows educational studies. They must also be a current member of the active military, an honorably discharged veteran, their spouse or child under 21 years of age or 23 years of age if a full-time student. The application includes the list of further requirements for eligibility. The application deadline is August 11 and applicants are notified by November 11. DeVry University also offers a scholarship program through AMVETS. Available to veterans and their families, the grants are valued at up to $9,000 each and can be used for both undergraduate and graduate studies at DeVry University or the Keller Graduate School of Management. Veterans, their natural or legally adopted children and the natural or legally adopted children of active service members in the military, including the Guard and Reserves, are eligible. However, students who are currently enrolled at DeVry University or the Keller Graduate School of Management are not eligible. Applications can be downloaded and printed from the AMVETS page or can be requested via email. The Council of College and Military Educators (CCME) offers yearly $1,000 scholarships to active service members, reserves or guards and their spouses who are seeking a higher education degree. To be eligible, service members and their spouses must be enrolled in an accredited institution that is also a member of the CCME, have a minimum of 12 credit hours and a 2.0 G.P.A. for undergrad studies or 3.0 G.P.A. for graduate studies, submit an unofficial transcript and two letters of recommendation from a person unrelated to the applicant. Applications include a 300-word essay that is judged based on content and writing skills. The deadline for applications is November 1st. The North Carolina National Guard Association offers scholarships to active duty soldiers, retired veterans and their spouses, natural children, grandchildren and legal dependents on active duty, retired and diseased members of the North Carolina National Guard. Scholarship amounts vary, are paid directly to the school and are awarded once a year. The application period is open from January 1st to February 1st of each year. High school seniors have until March 1st to submit their applications. Applications can be submitted online or at the Education Office of the North Carolina National Guard Association. Applications can be downloaded and filled out at ncnga.org. Eligibility requirements include financial need, academic achievement, leadership and citizenship and other criteria. The same application is used for the General Scholarship program and the Special/Memorial Scholarships. I am currently in the US Navy and i am looking for grants to continue my education. I currently am attending college classes online but i am limited to only 4-5 classes a year. i would like to take as many classes as possible to achive my goals of obtaining my BA and becoming an officer in the Navy.